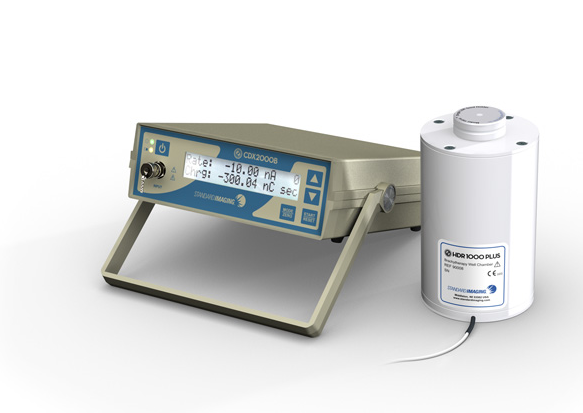 A radiation dosimeter is a device that measures exposure to ionizing radiation. 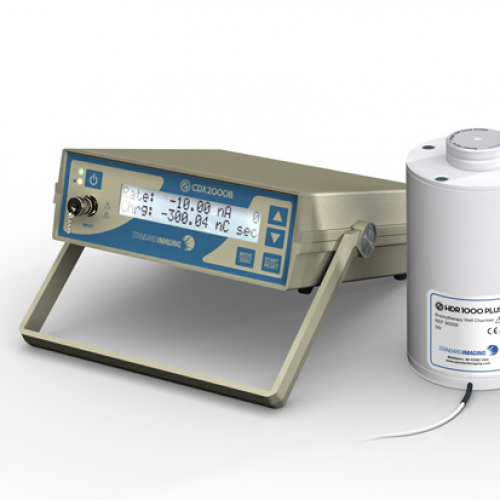 It has two main uses: for human radiation protection and for measurement of dose in both medical and industrial processes. 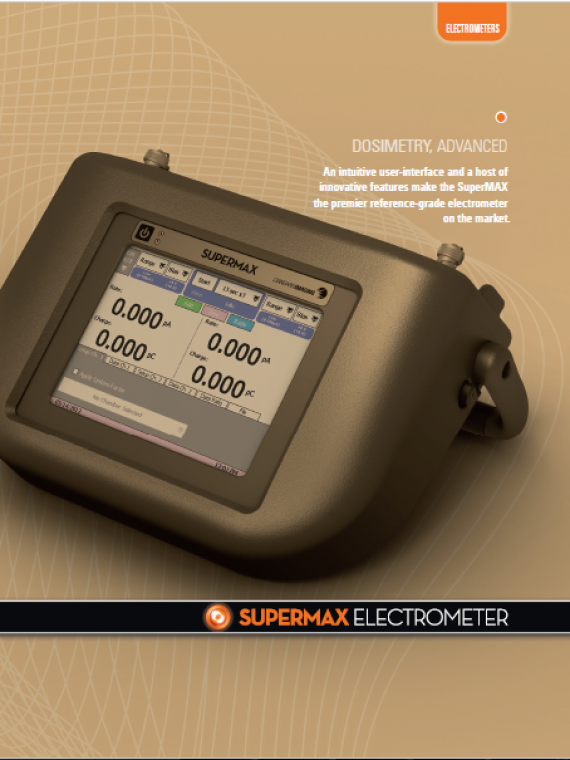 Dosimetry is the calculation and assessment of the radiation dose received by the human body. 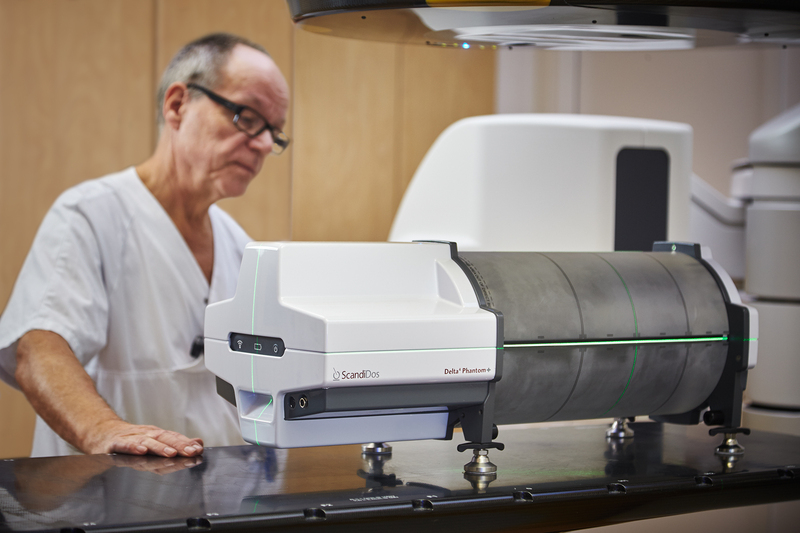 We provide world-class research, calibrations, specialized measurement services and training for the dosimetry of ionising radiation in cancer therapy and diagnostics. 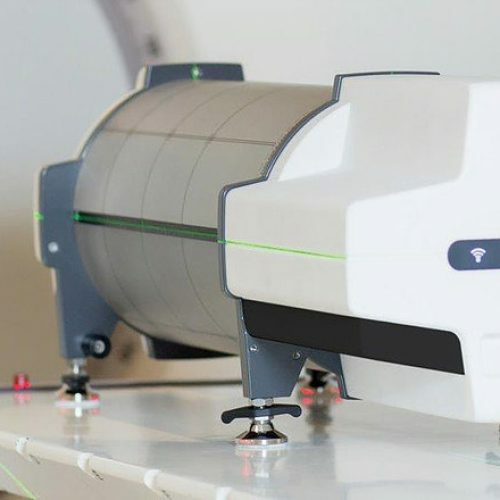 Standard Imaging is one of the leading manufacturers of radiation calibration and quality assurance instruments that promote patient safety and effective cancer treatment. 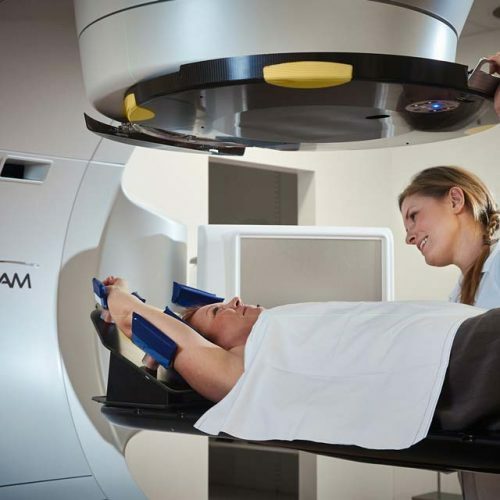 It advances the use of radiation by health care professionals with radiation quality assurance solutions that are innovative, effective, valued, compliant and eco-friendly. 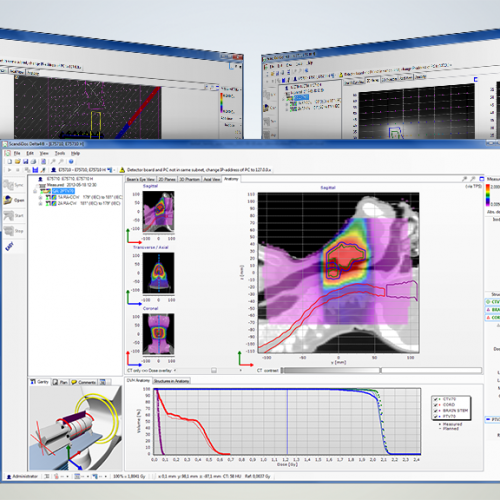 One of the latest software by Standard Imaging is Adaptivo™ Patient Dosimetry. It is the only software that provides a true picture of patient and dose at each stage of treatment. 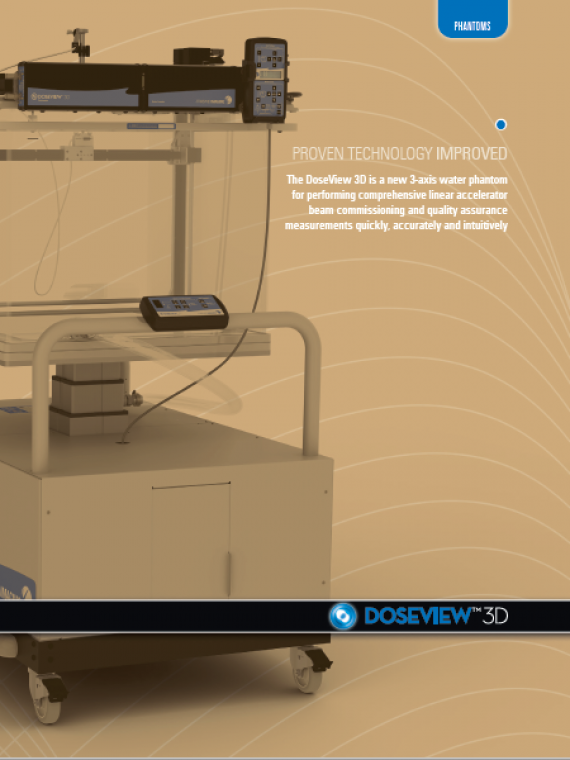 Adaptivo™ patient dosimetry software does something other patient dosimetry solutions can’t do — track the dosimetric effect of changes in patient anatomy and position on your treatment plan. 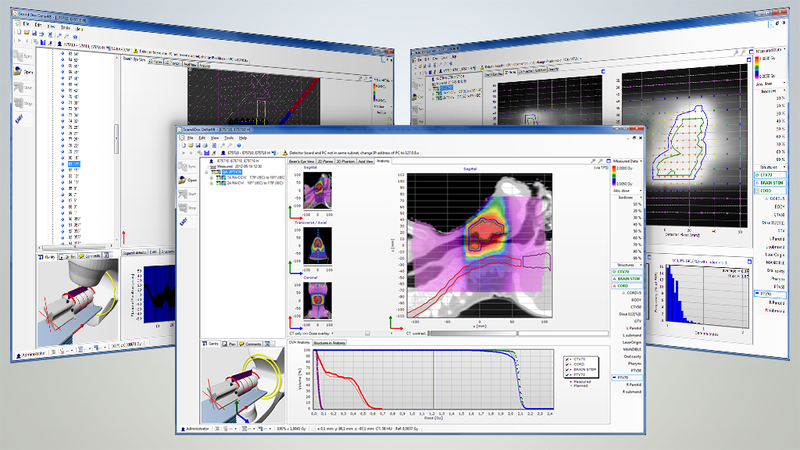 Using Adaptive Dosimetry™, Adaptivo provides a complete view of your patient’s treatment and improves treatment quality. 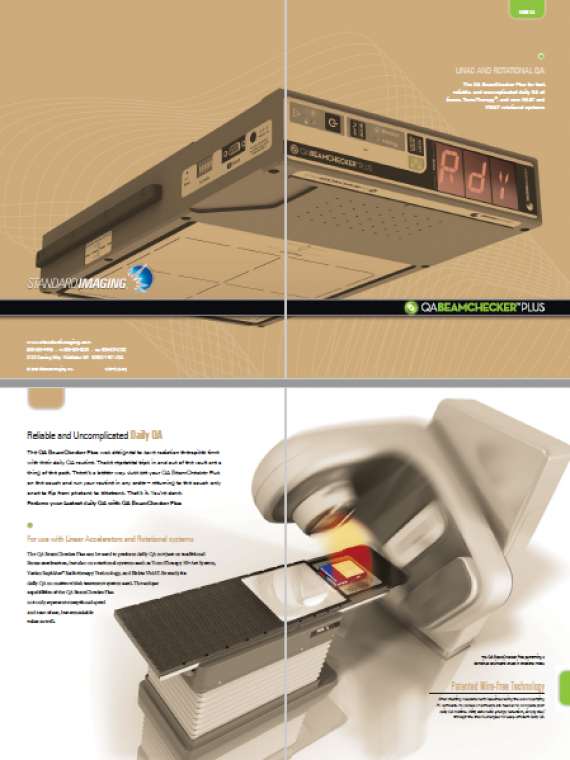 This preeminent dosimetry solution is also billing compliant. 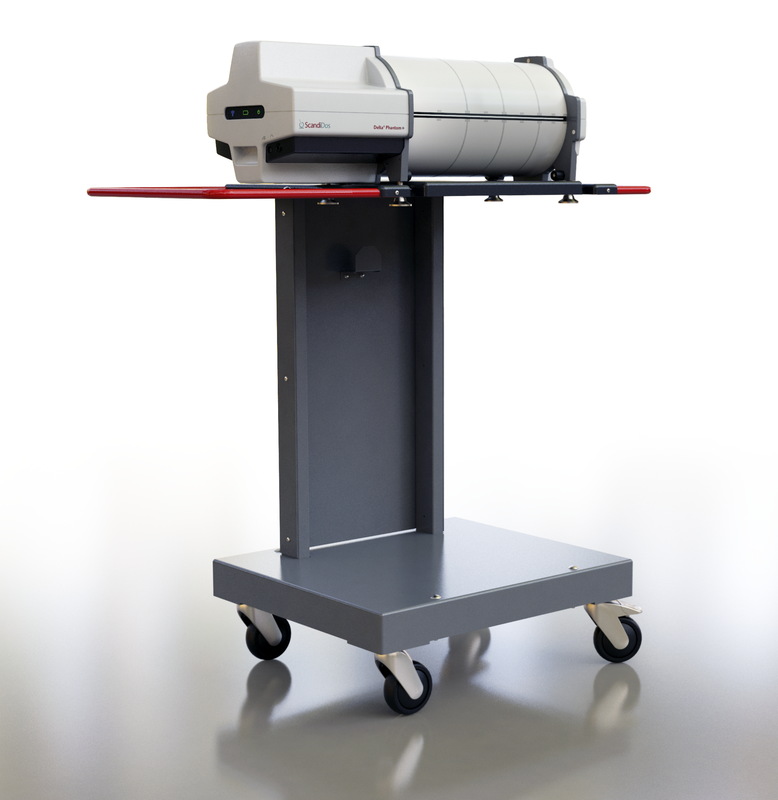 We also offerThe DELTA4 Family fromscandidos which is the complete solution for both Pre Treatment and At Treatment dose verification covering all modern treatment technologies VMAT, IMRT, SBRT, 4D-RT and TomoTherapy. With QA based on real measurements you can be confident that the dose delivered to your patient also is what you had planned. 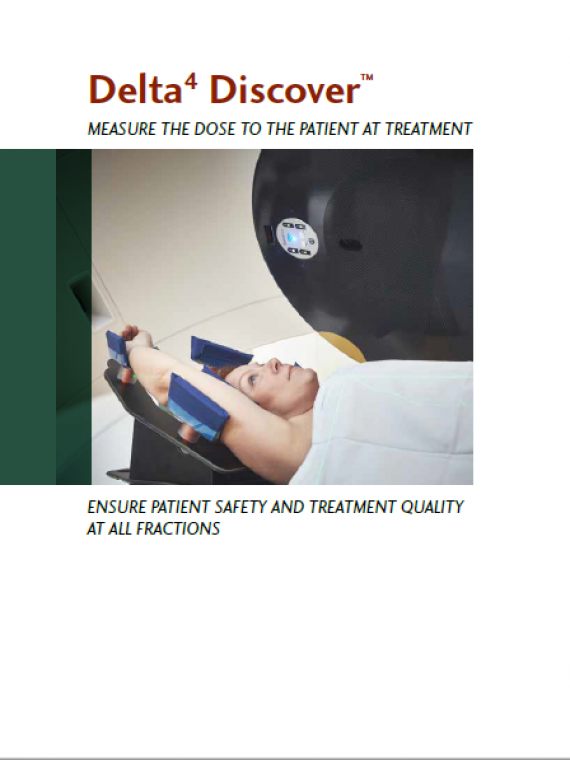 The Delta4 Discover monitors with high accuracy the dose that is delivered to the patient. It automatically compares the delivered dose with the planned dose. The patient and the clinic can be ensured that the treatment is delivered precisely and safely. 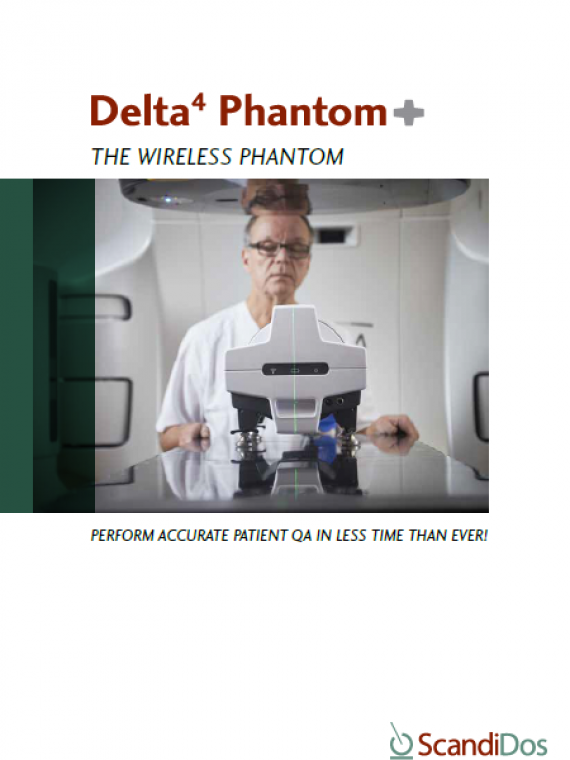 The Delta4 Phantom+ system is the only system that actually measures the dose distribution in the isocentric region. You can thereby instantly approve the plans as you know how much dose that is delivered in the target and the OAR’s. 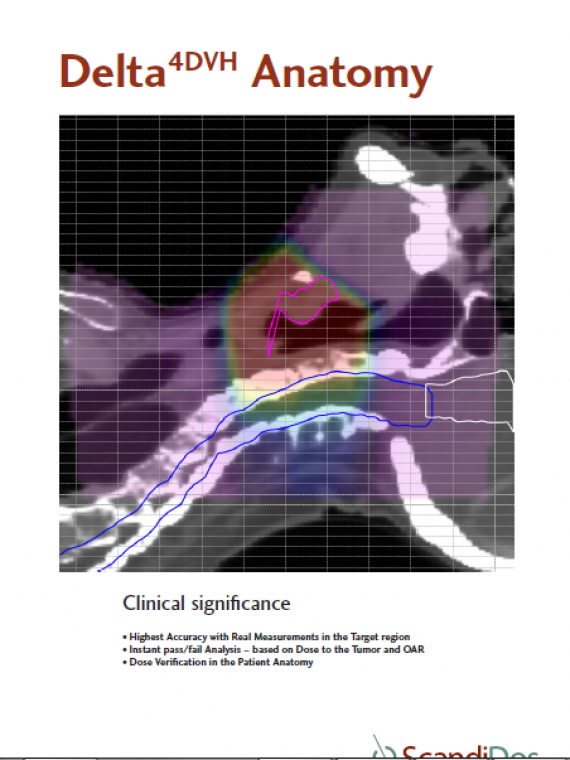 Analyze the dose delivered in the patient anatomy With the Delta4DVH Anatomy software option you can verify and analyze the dose that has been delivered to the patient anatomy. 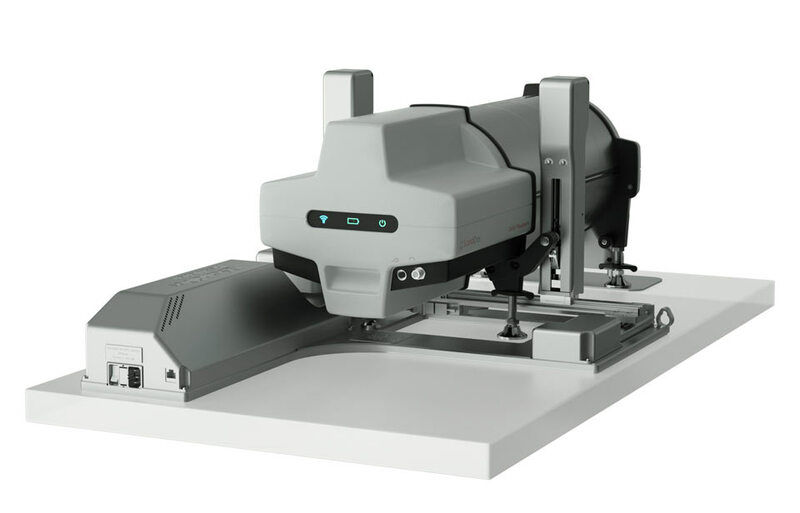 Based on the measurements in the isocentric target region and dose calculation of the dose in the patient anatomy you now have a truly independent verification of the delivered dose. The success of gating and tumor tracking requires rigorous QA and validation to meet the goal of better coverage of the target and sparing of organs at risk. 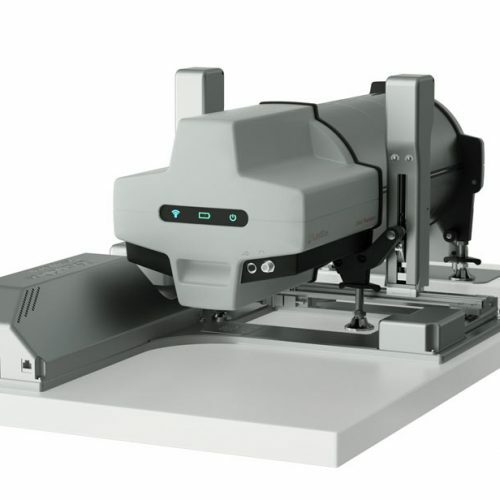 The HexaMotion 6D Motion Platform uniquely uses the patient specific tumor motion pattern and replicates it in 6 dimensions. 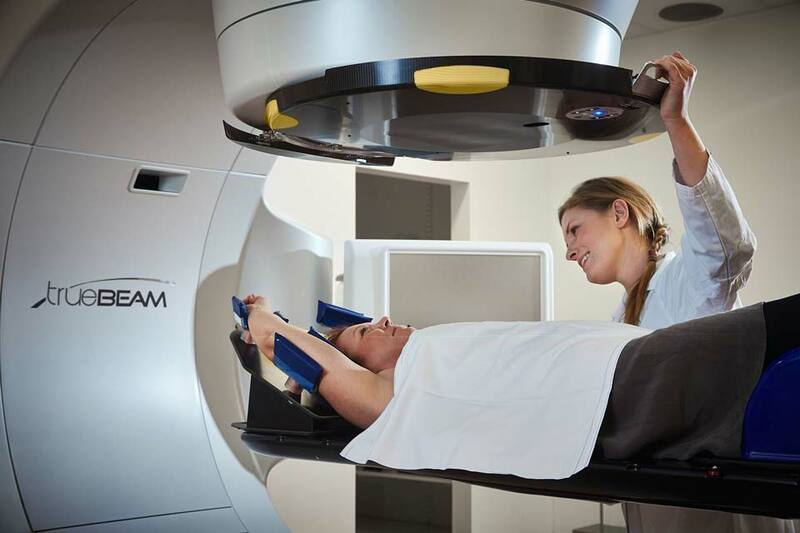 Target motion management QA in 6D The success of gating and tumor tracking requires rigorous QA and validation to meet the goal of better coverage of the target and sparing of organs at risk. 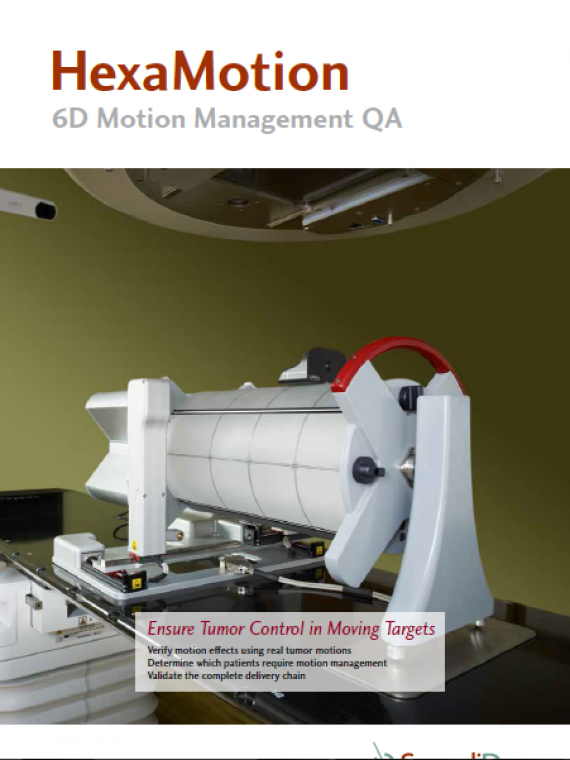 The HexaMotion 6D Motion Platform uniquely uses the patient specific tumor motion pattern and replicates it in 6 dimensions.